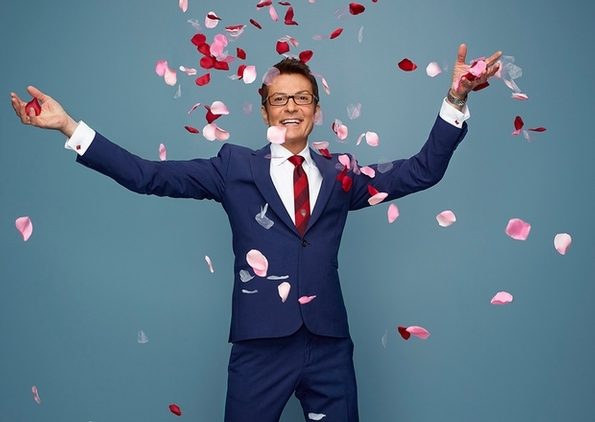 American designer Randy Fenoli has announced the European launch of his new ‘Silver Springs Collection’ in Amsterdam from 10th-11th March 2019. 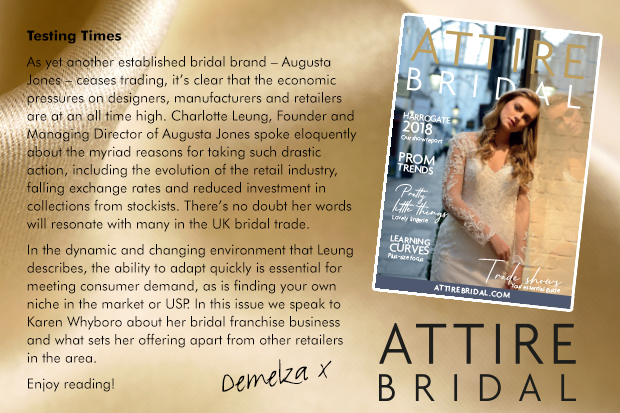 We always have plenty of opportunities for you to get involved with the magazine, whether you’re a designer, manufacturer or retailer. 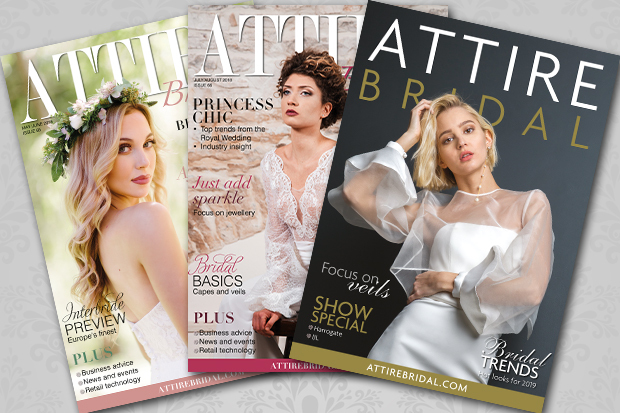 In our Jan/Feb issue we’ll be running features on mother of the bride, tiaras and hair decorations and European designers, so do send an email to me at editor@attirebridal.com if you would like to contribute. For retailers, if you’re offering something different to the norm, or are developing your business in an interesting or innovative way, then drop us a line! We’re always happy to hear industry news, events and staff changes. Katherine Tash’s Fall/Winter 2019 collection features richly layered designs, sumptuous original hand beaded textiles by artisans in Europe and her signature ethereal and languid bodies. 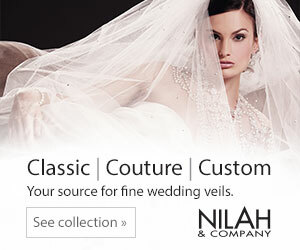 Fabrics that can express a sculptural, sophisticated, elegant, sleek, cool, yet feminine silhouette will be in demand for autumn/winter 2019/20 designs as the new season’s bridalwear moves away from traditional and overtly romantic looks, says leading silk specialists Pongees. 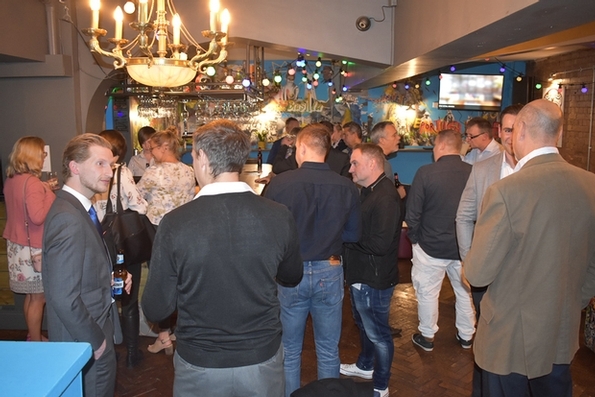 The Shop and Display Equipment Association recently played host to an excited audience at Birmingham’s exclusive night spot, The Sugar Loaf Bar, to officially launch the Creative Retail Awards 2019.